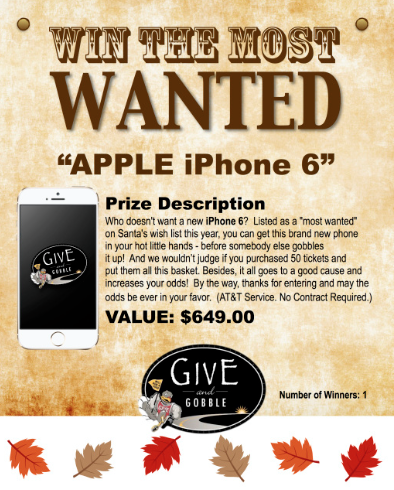 The annual Give n' Gobble is on its way! This walk, run and food drive will take place in Sherwood starting at 9:00 am on Thanksgiving Day! 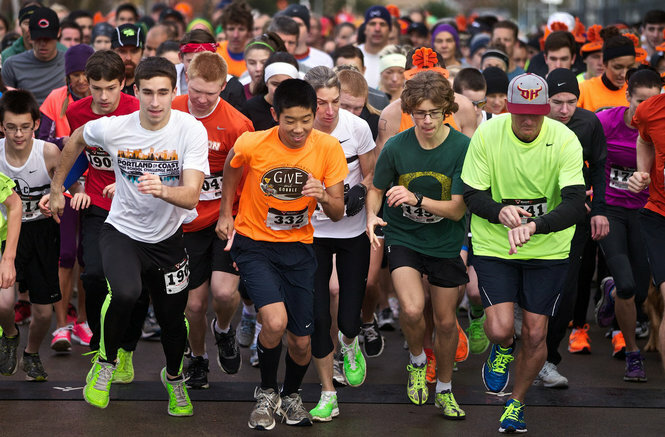 The event includes at 5K walk/run as well as a 10K run through picturesque Sherwood, Oregon. The purpose of this event is to raise money for the Helping Hands food bank, affiliated with the Oregon Food Bank. We will also be collecting non-perishable food items. To date, we have raised nearly $150,000 and over 20 tons of food. Give 'n Get…a FREE Shirt! Participants who donate a bag of non-perishable food will receive a FREE t-shirt (shirts can also be purchased on race day for $10). Proceeds and food donations will go to Helping Hands Food Bank. 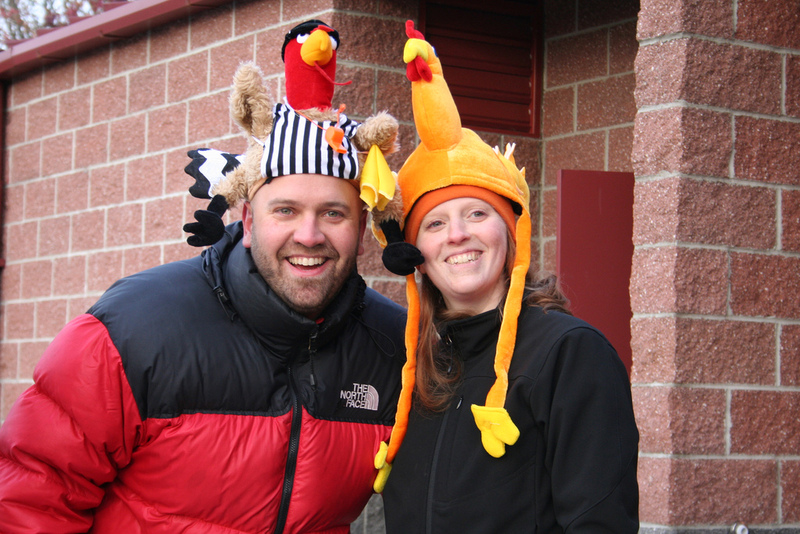 Q: How do I register for the Give n' Gobble? A. ONLINE - Online registration begins September 1st. Choose either the FAMILY or INDIVIDUAL registration button at the top of this page. Q: Is there a different cost for the 10K and 5K events? A: Yes, the cost of the 10K is $35 and the cost of the 5K walk/run is $30. We also have a youth rate ($20) and family package ($70). Q: Is the event timed? A: Yes, the event is chip timed with a service that includes a disposable chip attached to your bib. Q: Is there a charge if I choose to be timed? A: No. 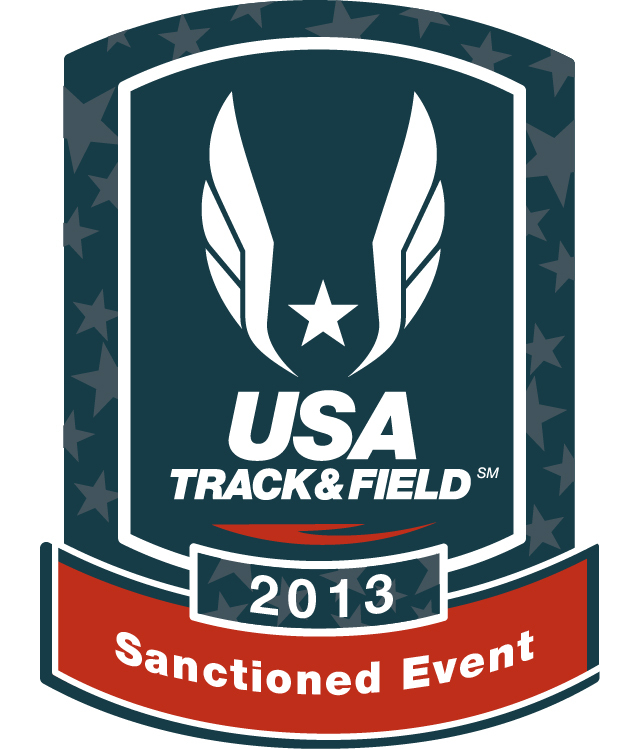 There is no additional charge and we are excited to add professional chip timing to this year's event. Q: How can I get a t-shirt? A: The first 1,500 participant who donate a bag of non-perishable food to the food bank will receive a free t-shirt. T-shirts may also be purchased for $10. Supplies & sizes are limited. Q: Does pre-registration guarantee a t-shirt? A: No, with this event FREE shirts are offered as an incentive to donate food for registered participants. The great news, is that we've ordered more than 1,500 shirts and we expect to have enough, but they will be available on a first come first serve basis. Q: Can I walk the 10K? A: No, unfortunately because this is a holiday and we want to get our volunteers home to enjoy their Thanksgiving Day meal we need to have a cut off time, all participants need to be back in by 11am. A: Unfortunately as much as we love dogs, due to the Sherwood High School and City policies we are not allowed to permit dogs or other pets to participate in the event. Q: Is skating or cycling allowed? A: No, for the safety of others, rollerblades, Heelies, roller skates, scooters and bicycles are not allowed. Q. Is there a place I can leave my jacket, bag, etc.? A. No, unfortunately due to the size of the event we are unable to offer a bag check area. Q: Where do I pick up my bib number? Q: Can someone else pick up my packet? A: Yes. The person picking up the packet(s) will need the participant's name and permission. Q: Can I use my own chip for timing? A: No. The disposable timing chip will be on the front of your race bib. Q: Can I write one check for all participants? A: Yes. We need a separate, signed registration form for each participant, but one check can be brought in to pay for several participants. Q: Is there assistance available if I can't do the whole course? A: Yes, we have paramedics, radio operators and police officers patrolling the course. If you need assistance, just ask a volunteer or an officer for help. We also have water stops located on the course. Q: Are baby strollers allowed? A: Absolutely. We ask strollers to line up at the back of the pack. Don't forget to register your child so they can have an official number, for great family photo opportunity! *Please keep strollers to the right side to allow other participants to pass if necessary. Q: Are there concessions available? A: We have many sponsors who will be providing water, bananas, muffins, and many other snacks/drinks for our participants at no charge. Q: What if it rains or snows? 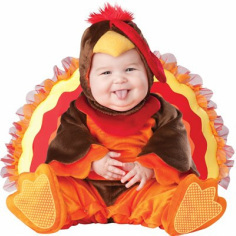 Will you still have the Give n' Gobble? A: This is a "Rain or Shine event." No matter what the weather, the Give n' Gobble will go on! Q: What happens to the proceeds from the Give n' Gobble Run/Walk and Food Drive? 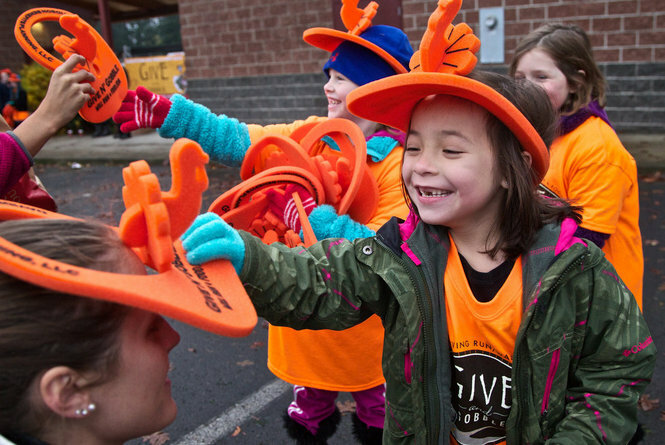 A: Proceeds and food donations from the Give n' Gobble Run/Walk & Food Drive benefit the Helping Hands Food Bank, which is affiliated with the Oregon Food Bank. Q: Where can I park when I get to the Give n' Gobble? A: There is plenty of parking available at the Sherwood High School near the track and back up parking in front of the school. Please try to use these two parking lots, so the surrounding homes still have parking for their out of town guests. Q: Do the 5K and 10K events start at different times? A: Both events start at the same time - 9am, please line up by 8:45 with faster runners toward the front and walkers/strollers toward the back. Q: Will there be an awards ceremony? A: In past years we have have offered medals and found that nobody wanted to stick around on Thanksgiving for an awards ceremony to get their medal so the decision was made to save the expense and upgrade to chip timing and other event upgrades instead. Q: Who is eligible for the Family Package? A: The Family Package is a special discounted price designed to encourage immediate families to participate together and foster a new love of running for children. It is intended for two parents and up to three children in the same household. Q: Can I register via mail? A: Online registrations are much less time consuming for our volunteers to process and are often more accurate, so unfortunately we no longer accept mailed in registration forms. Q: Can I participate and also volunteer? A: Yes! We always welcome volunteers and many of the positions we have are for tasks right before or after the event. Each volunteer receives a free t-shirt. Each year about 150 volunteers help us with registration, food collection & sorting, sponsorship acquisitions, silent auction donations, course set-up/tear-down and course management. If you would like to help simply complete online form via our Volunteer Page. Last year we had more than 2500 runners & walkers on Thanksgiving morning and are looking forward to another record-breaking year! *Yes, we will have tech shirts there! If you'd like one, please bring a bag of non-perishable food to donate. They are also available for sale, $10. Get your run, walk or waddle on. . .
Help Make Sure No Child Needs To Go to Bed Hungry! This fun event funds Helping Hands' annual expenses, enabling them to provide hundreds of needy families with not only canned food and other nonperishable items, but also dairy products, and fresh fruits and vegetables. This heart-warming event has become a Thanksgiving holiday tradition, drawing runners and walkers of all ages who want to start the day doing something fun and healthy with their family and neighbors while also helping those less fortunate!